Where is the best place to record your voice at home? If you are recording your own podcast, audiobook, or even if you are venturing into the world of voice-overs, hiring a professional studio or even building a home studio is not usually an immediate option. The good news is, you can achieve professional quality recordings at home with a little bit of basic knowledge about acoustics. Once you have chosen the right microphone and recording device, getting the best from it requires the right recording environment. To achieve great sounding finished audio you need to get the best quality raw files at the beginning of the process. Everything that you can achieve with audio editing and audio production is reliant on the quality of audio from the recording session, so getting this first step right is vital for the best results. Every location has its own sound. This is unique based on how sound waves interact with the room. Sound waves travel through air and bounce off surfaces, get dispersed or absorbed by objects. The sound is also made up of frequencies that are high and low. High frequencies have less energy than low frequencies and are much easier to deal with when it comes to voice recording. *Technically, there are tools that will attempt to do this, but they are not perfect and will never be as good as starting with a clean recording. You are looking for a location that will absorb much of the sound and disperse any that is left. You want the least amount of hard surfaces as possible and the least amount of room sound or echo as possible. Ideally, a room with a carpet on the floor, soft furnishings and curtains are best. A bedroom is often a good room because of the bed and bedding. Even better, surround yourself with more soft furnishings/bedding in the room while recording. For example, you can close curtains and hang spare curtains and bedding over hard surfaces to help absorb the sound. Every room has a characteristic sound and by adding extra absorbent materials you are changing its sound and deadening its natural reverb (which is what you want for recording). For consistency, you should always use the same room for your recordings and always have the same amount of absorbent material to keep a similar tone and consistency in your recordings. If you have a room that is next to a busy road, or your neighbor is mowing the lawn, this is not the best place to record your voice. You should pick a quiet room that is fairly isolated from outside noises. The window should be shut to help prevent outside noise getting into the microphone. This includes everything from weather noise, to nature sounds and distant traffic. Ideally you need a room that is fully isolated, however, this is probably not practical unless you are a professional voice over artist or doing recordings on a regular basis. In the real world, as quiet as possible will do and you can always stop for a moment when you notice extraneous noise and even do a re-take of the section and edit the noisy one out later. Once you have carefully chosen your recording environment you have to be sure that there are no internal noises to compromise your recording quality. Typically, computers are noisy as they have cooling fans and mobile phones near the recording equipment can cause interference from the network. Not to mention audible notifications from social networks. If you are following the advice above, with a little bit of effort you should be able to achieve a reasonably clean and flat sounding recording, which is just what you need for audio editing and production. However, if you want to go further you can invest in various acoustic aids. We have these in our office and studio. They basically are absorbent panels that soak up high frequencies from the room and stop them from bouncing off hard walls. This is useful for us listening to audio, but you can also use these to deaden the sound of any room for recording vocals. They are easy to fit and hang on the wall like picture frames using hooks. We have no affiliation with this company, but we found mafia panels to be the most cost-effective in the UK. Vocal Reflection Filters are basically curved foam shields that attach to your microphone stand and shields the back and sides of the microphone. This prevents or cuts down any high-frequency room reflections from entering the microphone when you are recording. They are used by many studios and have great reviews online. They can be purchased for affordable money (less than £50 UK) and can definitely help in conjunction with picking your room carefully and filling it with bedding and soft furnishings. You can do an amazing job with DIY home recording these days. I don't think you can have too many absorbent materials, but every room is different. So, experiment until you get the sound you need. Having the right room to record in is vital in achieving a high-end sound. However, please consider this advice in conjunction with understanding microphone placement. You also need the right microphone and recording device for the job. 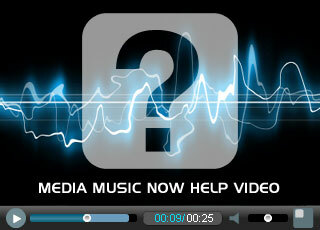 See our other articles related to recording and please let us know if this article helped you. If you would like to contribute an article or blog post please get in touch.